Travelwheels Facebook Review page from real customers! Here on this page are actual customers who have hired a campervan from travelwheels in Australia. If you need any more information about any of our campervans for hire in Australia call or text 0412766616. For example, you can email us your questions at [email protected] Together with our friendly team we will be happy to help answer any points you might have. Here is another quick way to save money on campervan hire in Australia. It’s definitely worth reading our free camping on East Coast of Australia guide which will save you lots of money. Travelwheels facebook review – happy customers jumping for joy! Travelwheels Facebook Review – Beat competitor quote + great camper! Sarah Jane Thomson left Travelwheels facebook review due to our great prices! Here is a direct quote from Sarah, “Travelwheels beat every other quote by at least $3000!” Not only did Travelwheels offer a great price, but also had a fridge! 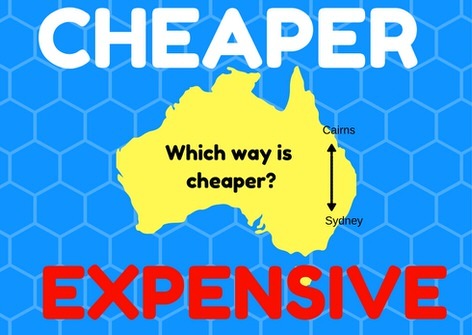 Australia for example is an expensive place to explore! Therefore having the fridge inside the 2 person campervan they hired made a massive difference! As a result they could free camp and keep their food cool in the fridge! Here is Jennie Dale‘s Travelwheels facebook review. We had a really positive experience with Travelwheels, from their help and advice on the best travel route to take, to talking us through our campervan insurance options! We therefore decided to hire a two-person camper and absolutely loved it; so much so that we extended our travels by another three weeks!! Clara-Marie Scheliga had a great time in our 2 person automatic campervan. Together with her friend they had a blast on their road trip from Brisbane to Sydney! “Life was easy, so happy we chose Travelwheels campervans. Van was clean, stuff was lovely and staff were especially helpful. Therefore we are more than happy to leave a travelwheels facebook review. 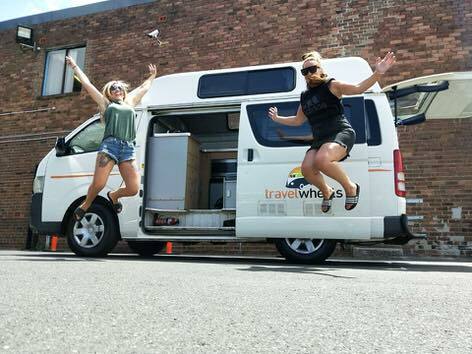 Claire Amie and her friends hired a Travelwheels 3 Person campervan for a long weekend. Claire stated for example that many of our competitors for example do not hire just for long weekends. However at travelwheels campervan hire sydney we can do this. Therefore we save some campervans to local people and for anybody especially wanting to do short trips! For the most part normally we sell out for long weekend campervan hire in Sydney in advance. However sometime we have a last minute cancellation, so therefore worth calling us on 0412766616. Travelwheels facebook review – saved money using Travelwheels! We are super happy he had such an amazing time! We are especially looking forwards to meeting our customers again, as they often become repeat customers! Rem’s Canap had a fantastic time with travelwheels campervan hire! He started his Trip in Brisbane and finished up here at our Sydney campervan hire branch. Here is Rem’s Travelwheels facebook review for his campervan road trip. “I had an excellent time travelling down the East Coast from Brisbane to Sydney. My camper van was perfect and I really enjoyed my trip. I could take my time and see all the things that I wanted to see ! The staff were friendly and accommodating and they answer to any questions you could have ! I recommend Travelwheels if you need to rent a car or a camper van and have a nice trip. Cheers !”. Georgia likewise grabbed a last minute campervan hire special from Travelwheels. Some times we need to move vehicle from our Melbourne branch to our Sydney depot. This is as a result of us being so busy at our Sydney Campervan Hire depot. Therefore Georgia and her friends were able to get a last minute campervan rental deal with us. Georgia wrote, “Would 110% recommend these guys for your travel needs, can’t knock them at all!” Here is a link to our Melbourne to Sydney road trip planner and thanks for your Travelwheels facebook review Georgia. Furthermore if you are down in the Melbourne area, then check out Wilsons Promontory which is an amazing place to visit! We all especially love WP National Park and it’s one of our staff’s favourite places to visit! Travelwheels Facebook Review – loved the camper! Flor Abelleria is from Argentine visiting Australia. Flor and her friend returned from an amazing one month campervan hire road trip. They for example had a fab time exploring the East Coast of Australia with Travelwheels Campervan Hire! Here is her Travelwheels facebook review for you to check out. “Doing a roadtrip by campervan is absolutely the best option” to explore the East Coast of Australia! For example, there is simply so much to see and do on the East Coast of Australia! Here is a link to the Sydney to Cairns Trip Planner travelwheels gave us to help you plan our road trip. Flor even said she,“miss the campervan, and were sad to drop it off at the end of their holiday!” We are really happy you enjoyed your trip and Australia is a wonderful place to explore by campervan. Aaron Chappell from Essex in England left us this great Travelwheels facebook review! By the way, these boy had an especially “epic road trip” along the East Coast of Australia! These guys had a blast with our campervan! They rented the most popular campervan for hire in Australia! Aaron said, “Enough space to sleep 3 and the kitchen was great for cooking. If we come back here, then we will definitely be using these guys again!”. Here is link to the 3 person campervan they rented from Cairns to Sydney. Anthony Brown had a great campervan hire holiday with Travelwheels! Super easy to sleep in it, and Travelwheels for example provided everything for cooking and cleaning inside the van! Anthony stated as a result of hiring with travelwheels, he really enjoyed the whole experience of driving around Australia! They absolutely loved it and would especially do it again in a heartbeat with Travelwheels Campervans. Travelwheels Facebook Review – check out our facebook page! If you are here looking for more information about travelwheels, then why not check out our travelwheels facebook review page? You will find hints and tips about hiring a campervan in Australia. For example we have lots of cool videos from customers with tips of places to visit in Australia. On our facebook page you will find customers photos from loads of campervan road trips such as Cairns to Sydney. This is one of our most popular campervan hire roadtrips we offer. Therefore why not join in and go for your own australia campervan hire road trip! In addition to Travelwheels facebook reviews, we love to post pictures and info about travel tips and places to visit. Here below are a number of useful links our previous customers found helpful. Cheap campervan hire advice – when is the best time of year to get the cheapest prices? Free Camping on East Coast of Australia – guide to camping sites on the east coast. Free things to do in Cairns – list of cool stuff to do in Cairns for free. Long term campervan hire discounts – blog post about big discounts on camper hire for longer trips. Fly drive from Sydney to Cairns camper hire – Fly to Cairns and therefore hire a camper back to Sydney. Way cheaper this way around! Might qualify for one free flight from Sydney! Cheap campervan hire cairns to Sydney specials – Are you especially flexible with your dates? Always cheaper to go from Cairns to Sydney with a campervan, and call 0412766616 for specials! Best time to travel to Queensland to get good weather. When is the best time to visit? When is the wet or dry season in Cairns? Where can I park my campervan for free in Sydney? Advice on free places to park campervan in Sydney. Melbourne to Phillip Island Campervan Road trip. Useful guide to plan your road trip to Penguin Parade at Phillip Island. Travelwheels facebook review – Campervan Hire Australia Facebook Deals! Now you have read some of the travelwheels facebook review, it is time to ask for a quote! For example if you are planning a trip we want to hear from you! The first thing we suggest is to put your “rough travel dates” in to our campervan hire price checker below. This will therefore give you an idea of the prices for campervan hire in Australia. Are you flexible with your travel dates – reversing your trip can be cheaper! Remember sometimes it can work out cheaper to reverse your trip! Here is a classic example for you. Sydney to Cairns is the most popular campervan hire road trip in Australia. However, if you are flexible and can change the start/finish location, you can save a lot of money! For example in this case you fly one way from Sydney to Cairns. Then chill or check out the reef for three days. Then you jump in your campervan and drive back to Sydney. Our team at Sydney campervan hire branch are experts at low cost one way campervan hire. Give our friendly team a call on 0412766616 for our last minute campervan hire deals! Simply enter your travel dates below for our lowest prices on Campervan Hire in Australia! Our online price checker will give you our lowest rates on camper hire in Australia. If you want more information about our campervans for hire in Australia, then call or email us via our contact us form asap! We have staff who speak Deutsch and Français, so call 0412766616 or email [email protected] in these languages.